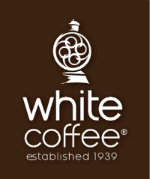 LONG ISLAND CITY, N.Y., Dec. 1, 2015 /PRNewswire-USNewswire/ -- White Coffee's packaging innovation, BioCup®, was honored last month as a finalist in the 2015 World Beverage Innovation Awards for the Best Environmental Sustainability Initiative category. BioCup®, one of the leading entries, captured the ecological niche for wholly biodegradable pods. The award ceremony was held on Wednesday, November 11 at BrauBeviale, one of the largest trade shows for the global beverage industry, held in Nuremberg, Germany.